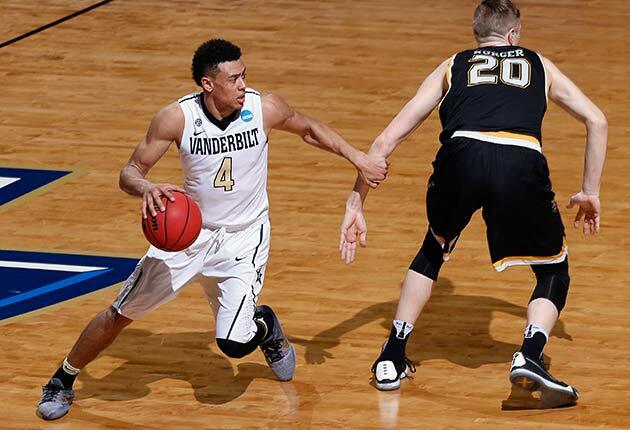 Which NBA prospects benefited the most from the first two rounds of the NCAA tournament? 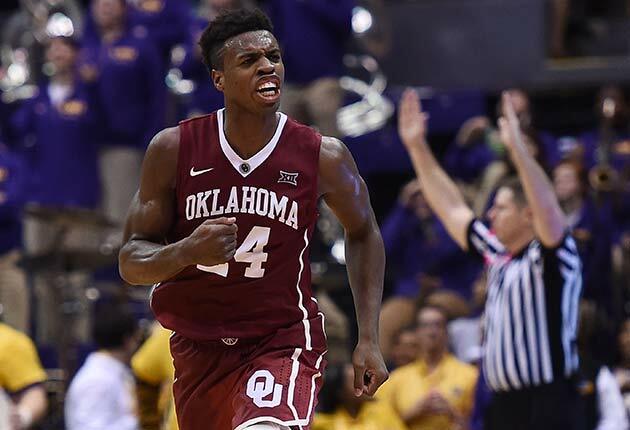 SI.com examines in its NBA draft stock watch. As we begin our second weekend journey into roundball delirium, here’s a tempered take on how the NCAA tournament impacts the NBA draft: it doesn’t. Not as much as you might think, anyway. Why is this? Remember we’re looking at, literally, a one– or two–game sample size. Sure, it’s a bigger platform, but it’s one small aspect of a much, much larger profile (see: regular season, high school, etc.). There’s not some abstract, directly-corresponding draft slot bump that comes from leading your team to the Sweet 16, but additional exposure can certainly help—just ask Justise Winslow about his let-me-guard-anybody Final Four tour de force a year ago. Essentially, what the tournament can do for prospects is reaffirm certain things, positive or negative, and solidify evaluation profiles. Given the level of year-round diligence NBA front offices and scouting departments are paid to do, the overwhelming odds are most players have already stated their case. There are always guys who are overlooked for one reason or another, and that’s who benefits the most from the March stage. Below, we’ll recuse ourselves from the endless Ben Simmons-Brandon Ingram debate. Simmons is already chilling with Rich Paul, and Ingram’s certainly playing well, but the greatest determinant there will be who wins the lottery. With two rounds of the NCAA tournament in the book, here's a look at the players who have helped and hurt their NBA draft stock the most. Right now, the Sooners guard has one true NBA calling card: that buttery jumper. After pouring in 27 and 36 points, respectively, against Cal-State Bakersfield and VCU, Hield’s ability to score shone through again. One evaluator threw a Jodie Meeks comparison at me over the weekend, and while Buddy’s star power as a college player has surpassed Meeks’s strong presence at Kentucky, it sets a solid expectation baseline at the next level (remember, this is a thin draft). His stardom likely won’t translate directly to the league, but he sure is fun to watch right now. Hield is due for an interesting test against Texas A&M, which can mix and match a few different, longer defenders on him and make life tough in the Sweet 16. Watch how he fares against the 6’7” duo of Danuel House and Jalen Jones. My prediction: Expect the buckets to keep flowing, and Hield’s stock to remain firmly in the 9–14 range. If you really love Jaylen Brown, then his four-point, seven-turnover stinker against Hawaii in the first round is nothing too earth-shattering. The burly, explosive wing will get drafted on upside, but nobody is blind to his warts, which couldn’t have been more clearly apparent than in the tournament. Cal was without two of its main perimeter scorers in Tyrone Wallace and Jabari Bird, and while trying to assert himself, Brown tended to put his head down, pound a dribble or two, get around the free throw line and then realize he had no idea where he was going. As good as he was in high school, and though he’ll have more space to attack in the NBA, the feel for the game isn’t there yet. There’s almost certainly going to be a steeper learning curve for Brown than what Stanley Johnson and Justise Winslow—two similarly physical wings, both with better skills and feel—have gone through as rookies. In last year’s draft, he’d have been squarely behind both players. This year, he’s a high-risk, high-reward proposition that will require a top-10 pick. 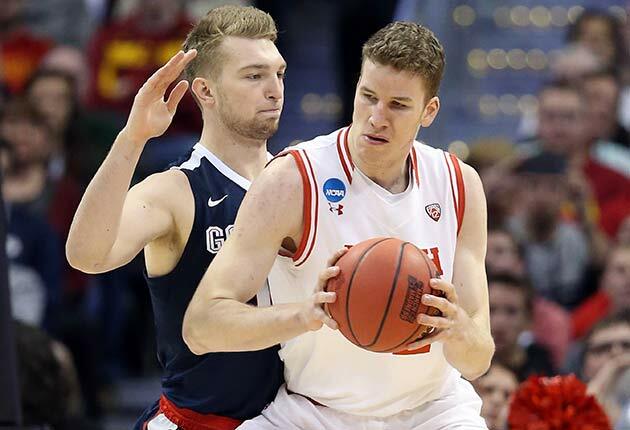 The big man has undeniably been one of the stars of March, leading the Zags to upsets of Seton Hall and more notably, Jakob Poeltl and Utah. Sabonis shut down the taller Poeltl, a polished post scorer, using his strength and center of gravity to help compensate for his lack of length. He came away with a double-double, even hit a couple jumpers, and helped hold Poeltl to just five points and four rebounds, playing about as well as anyone could have asked for. Side note: This obviously wasn’t ideal for Poeltl’s résumé, but he’s safe as a top-10 selection right now. The thought that Sabonis can cut it defensively against NBA size—and in an increasingly smaller, more athletic league, that’s somewhat of a fluid challenge—solidifies his value as a high-energy rotation player, and he’s been productive all season. He’ll be considered in the middle of the first round and as a relatively safe option. As it stands, there’s a pretty wide variance of draft outcomes for Jackson, who just missed our first Big Board. He’s not very tall and an older prospect relative to the class, but he’s an NBA-caliber athlete and in the mix as a mid-first rounder. He played well in wins over Michigan and Stephen F. Austin, generating a little bit of buzz, but totaled just four assists. 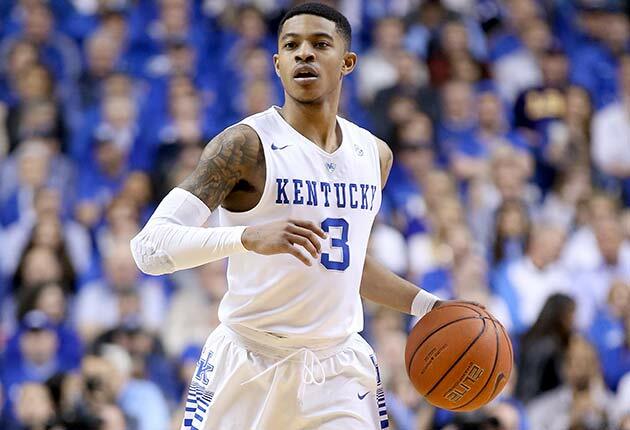 You didn’t really think we’d get into this point guard conversation without talking about Tyler Ulis, did you? Not one scout or draft type I’ve spoken with has a bad thing to say about him. He’s no fluke: he’s doing the things he’s always done at 5’9” and figuring out new challenges every step of the way. He was No. 20 on our first Big Board, and his tournament showing (27 points in a loss to Indiana) affirmed both his scoring ability and intangibles. Another professional evaluator posed it like this: realistically, you’re looking at Demetrius Jackson and Ulis as backup point guards, and you want whoever fills that role to make as few mistakes as possible. And if that’s your selection criteria, it’s tough to argue against Ulis. Were he a few inches taller, he’d be a lock for the lottery. Bryant is a big part of why Ulis and his entire team (down to the walk-ons) are already entering the draft, scoring 19 points in Indiana’s win over Kentucky. He’s raw, but he’s got a 7’6” wingspan at 6’10” and can run the floor, losing a bit of the physical stiffness he had in high school. He’s shooting nearly 69% from the field in a non-featured offensive role and 70% from the line, and his rebounding numbers look a bit better on a per-minute basis (7.6 per 30). Bryant didn’t block a ton of shots this year despite his size and has work to do defensively, but he’s got the platform and another NBA-sized frontline to tangle with against North Carolina. Also garnering some attention: fellow Hoosier freshman OG Anunoby, who opened some eyes with his defensive play against UK. Hype for Baldwin has been palpable, and when you look at him you see why, given his size and strong physical attributes in a guard-driven league. He hit 40% of his three-pointers this season, which is solid, but he ended the season in a shooting slump as Vandy bowed out to Wichita State. Though the assists were there, he hasn’t convinced everyone he’s a true point guard. He’s a positional tweener, and multiple scouts have cited his tendency to overthink the game and get in his own way. But as a potential defensive stopper, he’s floating in mid-to-late first round territory. When not tripping people, Grayson Allen scores points. Lost in much of the Allen narrative is the fact he’s a legitimate NBA prospect. He’s scored 52 points in two tournament games (yes, against UNC Wilmington and Yale) and has been Duke’s most reliable player all season (yes, more so than Brandon Ingram). Some of his scoring ability on drives won’t translate to the NBA, but as a spot-up shooter and combo guard who can do a little bit off the bounce, he’s got appeal. He’s strong, tough, can get off difficult threes, and profiles as a late first/early second-rounder at this stage. We’ll see how he fares against an equally-athletic Oregon backcourt. Grayson, if you’re reading this, just don’t trip Matt Barnes when you get here.